More and more Enterprises are facing the IP transformation challenge. People are using different ways to communicate with each other, from voice to e-mail, instant messaging or video conference, all using the IP network. They are more connected than ever, wishing to reach the ubiquity promised by Fixed to Mobile convergence. To face this new paradigm, Aastra’s response is a wide portfolio of IP telephony solutions, based on full IP communication servers or hybrid PBX platforms to enable customers to handle the IP transformation of their business at their pace. But more than IP voice switching platforms, Aastra is providing a comprehensive suite of unified applications, multimedia terminals and mobility solutions enabling enterprises to benefit from productivity gains of convergence. For Aastra, the real meaning of IP transformation is not just a change of technology. Moving to Voice over IP implies the possibility of becoming standardized and open which allows you the opportunity to benefit from flexible architectures, more possibilities of reducing the Total Cost of Ownership and greater protection of initial investments with more scalable and evolving solutions. Aastra has made a large investment in R&D to promote an OPEN IP Telephony concept comprised of solutions that are becoming more independent from the hardware and rely on the use of Session Initiation Protocol (SIP). Aastra believes that SIP will definitely be an economic catalyst supporting the migration towards Voice over IP, facilitating the decision of end-users to change their analog and digital terminals to SIP terminals and also the move from TDM carrier trunks to SIP trunks. But more than that, SIP will enable multimedia applications to easily communicate with each other, choosing the most appropriate media according to the presence status of users. As convergence is leading to a unified IP infrastructure at an accelerating pace, the need for reliable and evolving solutions are key points to consider for CIOs when building their Information Systems. Aastra provides resilient and scalable solutions, from 4 to 150 000 users, taking into account certain challenges such as business continuity planning with fall-back solutions, or secure communications using encryption mechanisms. Aastra is also eager to accompany its customers during this IP transformation by providing evergreen solutions and a full collection of professional services to help migrate current telephony networks into an 'intelligent networks' dealing with unified communications that encompass all the spheres of the enterprise activities and help increase the efficiency of its business. 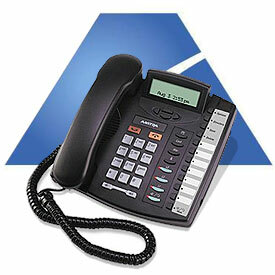 SIP is widely recognized as the standard of choice for IP Telephony. With established industry standards, manufacturer's products will be interoperable and telephony customers will have a wide range of choices. Aastra Intercom is dedicated to developing products based on industry standards so that customers fully realize the benefits of moving to IP. With eight models Aastra offers a wide range of features, and provide superior performance at an affordable price. All Aastra SIP Phones come with an advanced XML browser capability to access custom applications and support for high-quality SIP communications.